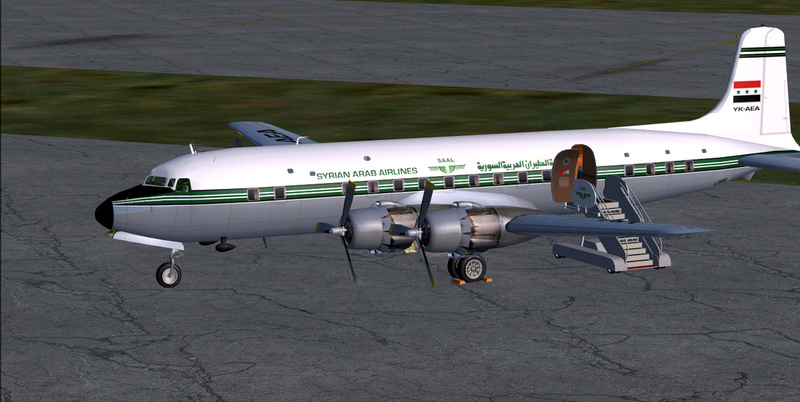 DC6B Syrian Arab Airlines circa 1961-1963. CN#44156/431 was originally built for SAS as SE-BDU in 1953 and bought by Syrian Arab Airlines in 1961. In February 1958, Syria and Egypt decided to unite under the leadership of president Gamal Abdel Nasser, and the two countries became provinces of the United Arab Republic (UAR). The merger between Syrian Airways and Misrair, the state-owned airlines of Syria and Egypt came as a consequence of this political union. The airlines merged on December 25, 1958, to form United Arab Airlines (UAA). 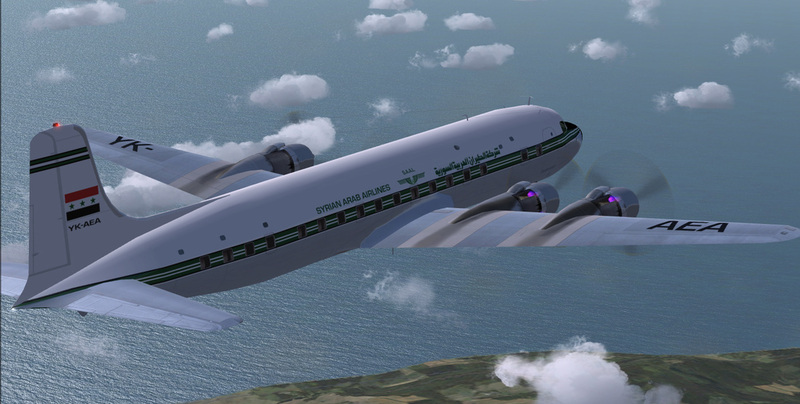 At the time of the merger, Syrian Airways was still only a small regional airline while its Egyptian counterpart, Misrair, was the largest and oldest airline in the Arab world, operating an extensive network out of Cairo, the region's metropolis. During the UAA interlude, only regional and domestic routes were operated in Syria, flights further afield connected at the Cairo hub. 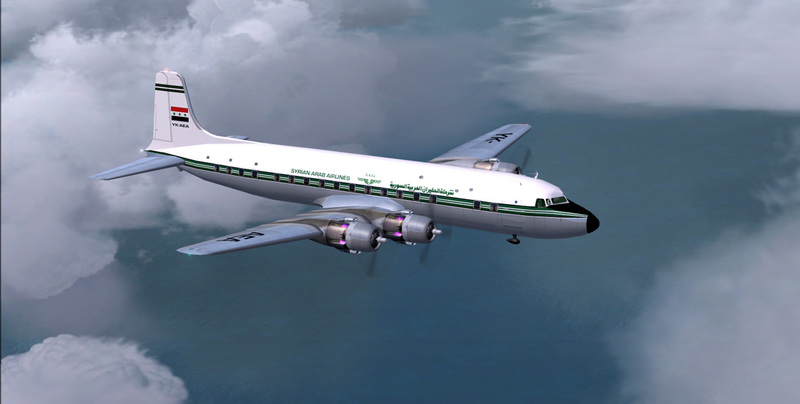 Two planes inherited from Syrian Airways were written off between 1959 and 1961: the Douglas DC-4-1009 which was ditched in the Congo River as it was carrying cargo from Accra to Leopoldville on September 1, 1960, and a Dakota which crashed on its final approach of Kamishly on a domestic flight from Aleppo on May 6, 1961. Fortunately, there were no fatalities in either accident. The union between Egypt and Syria ended on September 26, 1961, amidst tensions between the leaderships of the two provinces of the UAR. The Syrian Arab Republic was declared in Syria, while Egypt chose to continue to carry the title of UAR for a few more years. In parallel to that divorce, Syria withdrew from UAA. 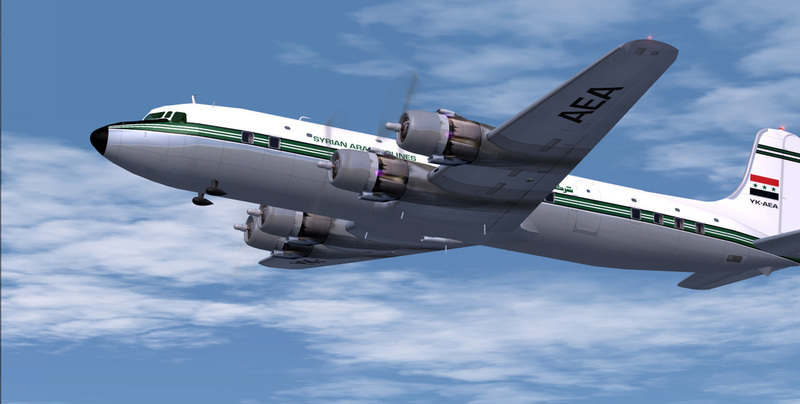 All the airliners previously owned by Syrian Airways, two Douglas DC-6Bs and one Douglas DC6B freighter were given up by UAA to the Syrian authorities. 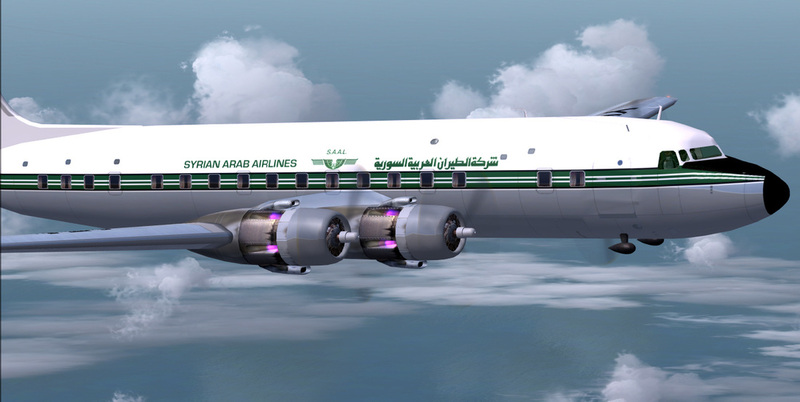 Syrian Arab Airlines (S.A.A.L.) was founded in October 1961 in order to take over UAA's operations in Syria and to become the new national airline. The fleet initially consisted of three Douglas C47 Dakotas, two Douglas C54 Sky masters, two Douglas DC-6Bs and one Douglas DC-6B freighter (later sold to LAC-Colombia). Domestic and regional flights were promptly resumed and the fleet originally was painted in a green livery reminiscent of that of the Syrian Airways colors. S.A.A.L. 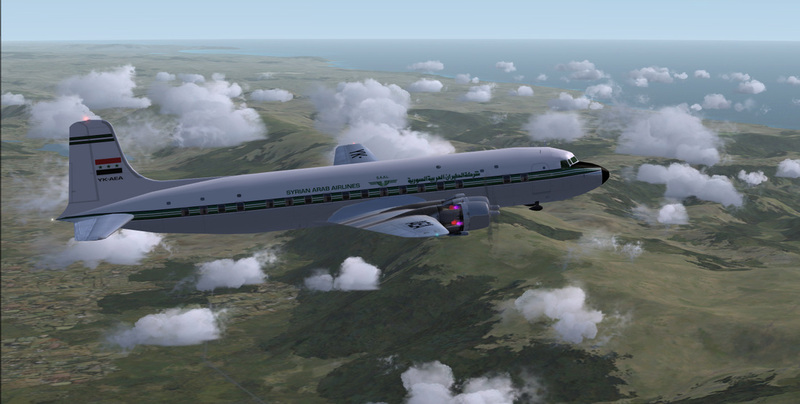 purchased a third DC-6B from SAS in November 1962. Flights to European destinations (Rome and Munich) were started in 1963, followed by flights to London and Paris (Le Bourget), Karachi and Delhi in 1964. A new livery was introduced then, with alternating dark blue and red stripes for the cheatline.